Hi folks, I'm started an in-character OC art/ask blog. I'm looking for any criticism or advice, especially if you have experience or knowledge in this type of project. I understand this may seem like a bit of a shameless self-promotion, but I really want to improve and make the most out of this. Y u seem so sad? I've actually partially addressed that within the blog. There is a story and background I have in mind that I want to portray, but for now I'm waiting and hoping I get enough questions to utilize them for telling the story. I used to beat up people like that in school. But most of the time just call them out own their own B.S. 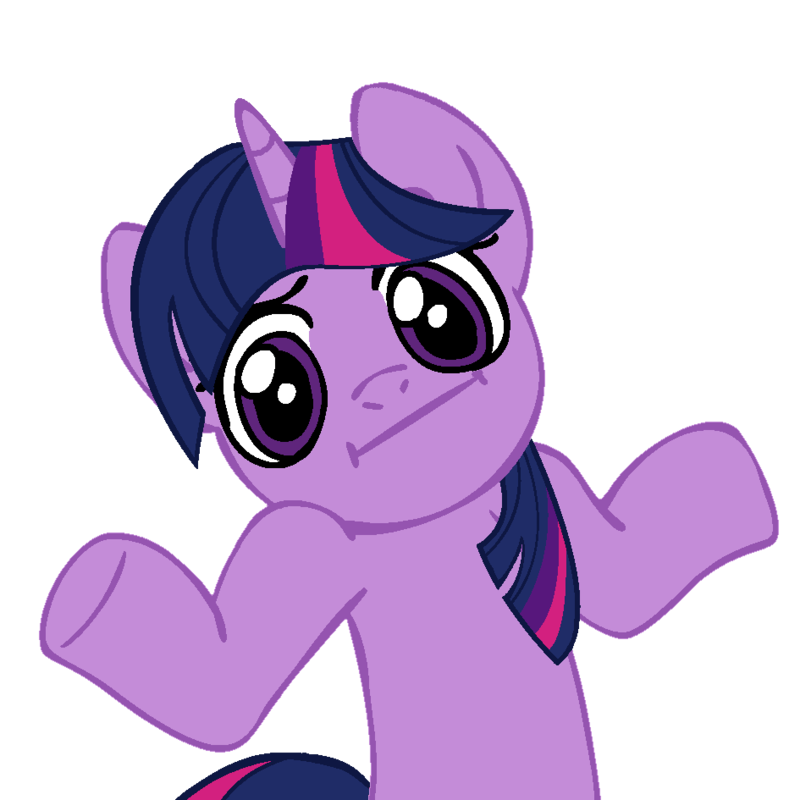 Of course within the realm of ponies violence isn't prevalent (It will be when I'm through with it) so it would be interesting so see the character develop friendships down the line that will possibly build some self-confidence for this character. I appreciate your critique/suggestion for the character's development. It's definitely important to what I'm working on, so any outside suggestions/insights could go a long way towards making this character work out. 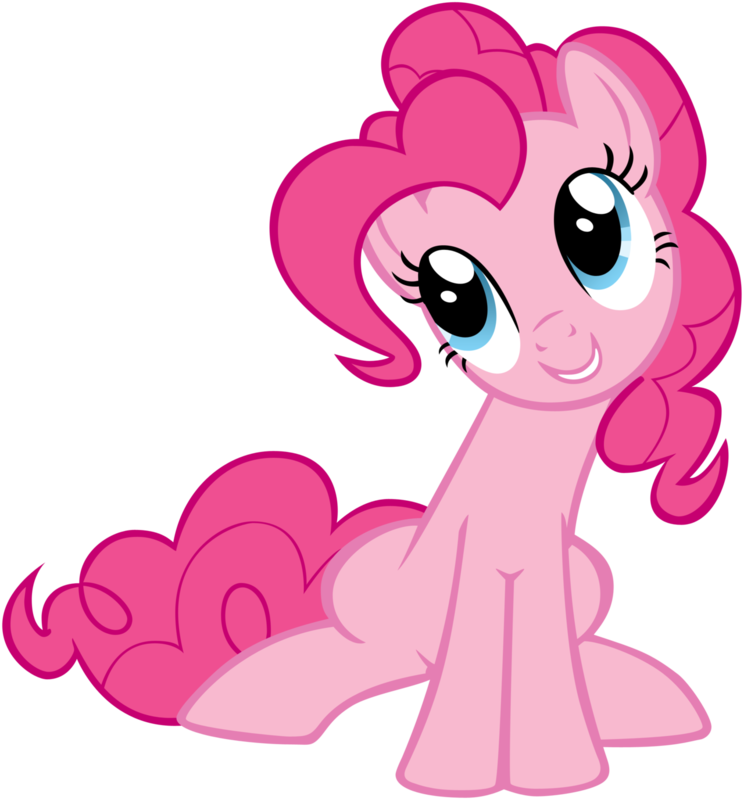 Also, I appreciate the contrast between such an innocent-looking Pinkie Pie and aggressive suggestions of violence. Heh heh I am kind of an odd ball for suggesting such a mean thing but I'm really an all around nice guy. I just have a zero tolerance for bullies. But yes character development has been something I have been extensively studying for my own work and one important thing to remember is interactions are super important for determining a characters path. 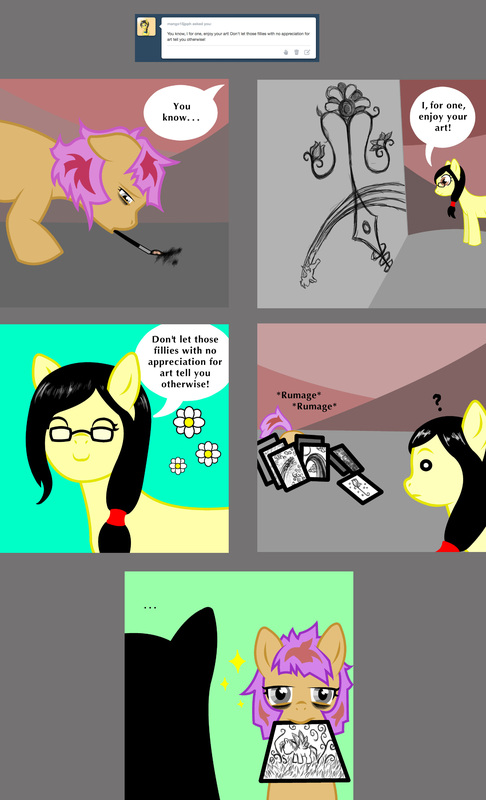 For example this second page could have went far south if she became bitter and even more introverted because of her previous interactions with those mean ponies. By the way, where are you going with this exactly? Is it a series of short stories that revolve around submitted questions or is there some sort of grand scheme with this series? Just wondering. If you don't mind my asking, what sort of project are you doing? While I'm quite invested in the franchise and my own work, my exposure to original fan-based creations outside of the main canon has been limited at best. As for your final question: I do have a grand scheme in mind, but the story is currently in a sort of prologue state where I'm relying on submitted questions to help establish the character. It will always be an ask blog, but I'm waiting a bit before I jump into the main plot I have planned. Something BIG. 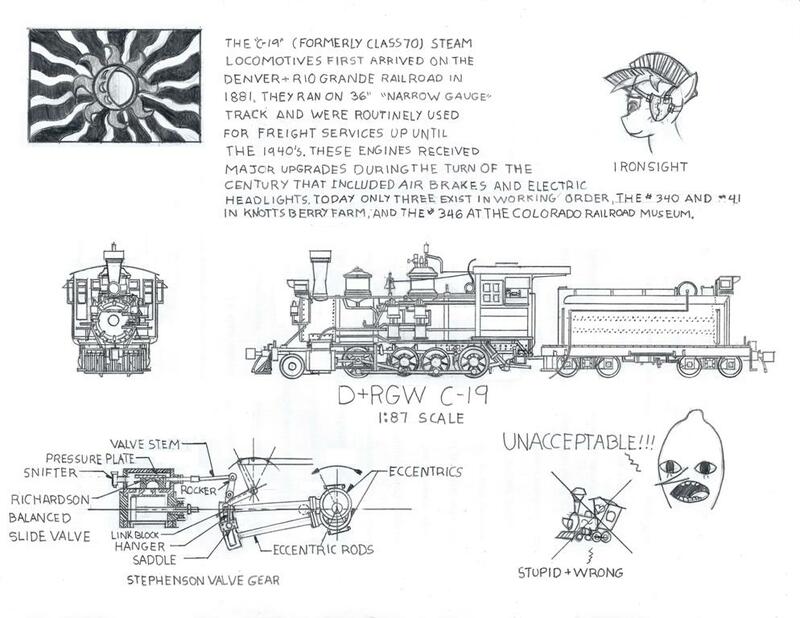 Something never really attempted by the shows canon that carries many realistic themes both aesthetically and philosophically (I fixed those idiotic trains in the show theres a schematic in my thread: http://pinkie.ponychan.net/chan/files/src/137050401662.jpg) Have a peek at my concept art thread for more stuff in case you're interested. I just finished reading my way through the thread (my goodness that's a lot of content), and I can say I am nothing short of amazed. Your technical skill and design ability, which you've applied towards creating a real sense of both scale and threat is... well it's quite humbling for somebody like me. I'll be certain to keep an eye on your thread to see how the project develops! Thanks a bunch! I appreciate the thumbs up! A lot has happened since I started this project and I have made many very nice friends along the way which is the most rewarding part of it and they have been a positive driving force for me and they continue to inspire me to keep at it. Although there is still so much that needs to be done and so much I said I will do... I suppose all in good time. And developing all these gadgets, goodies, and contraptions has proven to be the easy part. The hardest part has been developing a new primary character which has taken about 6 months. Even the primary antagonist (which I refuse to release for now to create a suspenseful atmosphere) wasn't so difficult. All I can say is that hes a tyrannical murdering sociopath filled with so much rage and betrayal with technologically advanced armies at his disposal. Since I haven't been able to really draw attention to the blog, and thus have no questions to answer, I'm going to do a series of story installments to further establish the character. Here's a hint at what is in the works right now. I'm actually thinking of starting an ask blog myself. And although I can't give you much advice regarding publicity (publicizing my work is still something I'm trying to figure out how to do), I have been steadily improving my art for the past year, and I can tell you this: Sketch a LOT. Do a new picture every day. If you can, buy a sketchbook and take it with you everywhere you go. And practice shading above all else. Everything your eyes see is reflected light; if you learn to draw light well, you can draw anything well. This is completely random, but does your username have anything to do with the character Dahlia from the novel Gauntylgrym? 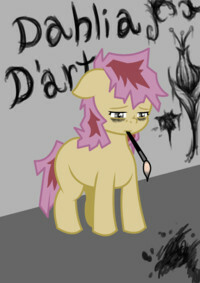 The name D'art reminds me of Drizzt's last name, Do'Urden. So I thought you might have read some of the Forgotten Realms books, and chosen your username as a sort of amalgamation of Dahlia and Drizzt. I'm afraid that the name is simply a composite name I'm using for my OC, combining the name of the flower and part of the French term "Objet d'art", meaning art object. Thank you for your recommendations. I've been focusing primarily on closely simulating the simplified style of the show, but I am already doing a lot of plain pencil-on-paper drawing outside of the digital vectors. The beginning of the story segment. Ah so we have a Rainbow Dash sighting, good. Random thing: If you ever need any contraptions or gizmos let me know, I would be glad to help out. I wonder if your OC can use an airbrush. 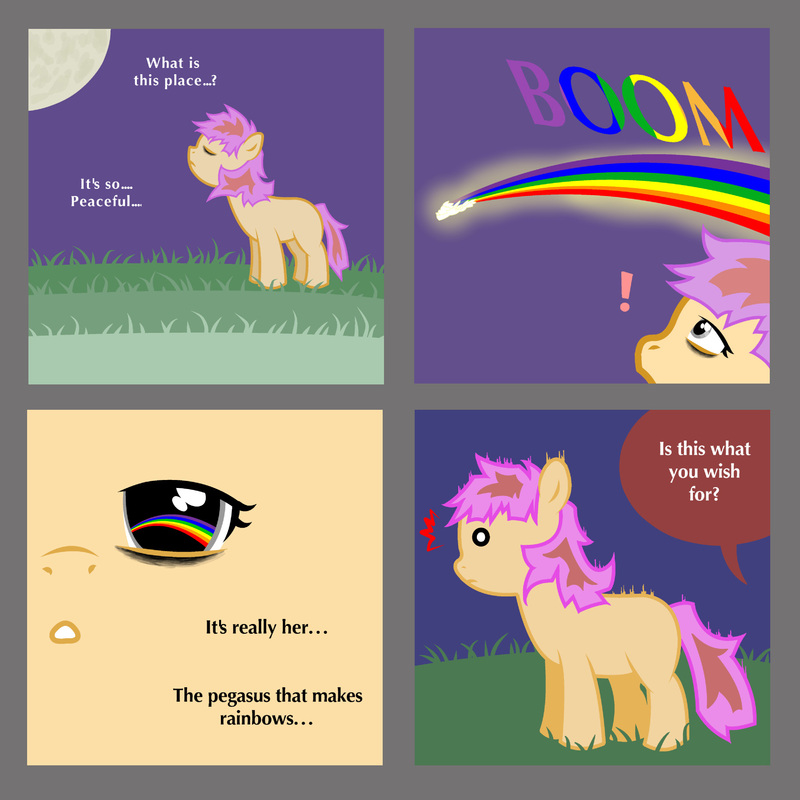 That goes for the rest of everypony. I'll give you three links! For finished works, stalking good artists, etc. Just made this a few days ago. For black and white sketches that aren't quite gallery-worthy. In-character ask blog that follows one of my OCs, Parity. She's a mechanic, an electrician, and the main character of a comic I hope to write someday. The blog is totally empty though, since I just made it today. I guess this means you get to ask the first question! Your art is amazing, my friend! I can't wait to see how you apply it to the blog. I submitted a question, but I'm afraid it's not a very good one. Maybe you can finesse your way of responding it in order to introduce your character (sorry about that ^^' ). This ask-blog thing is confusing. By the way, did you add me on dA? If so, feel free to note me whenever you want. Oh, and one last question. What's the best way of keeping track of threads on Ponychan? I've just been coming back to /art/ and finding it again, but that seems like a lot of work. Yeah, I've been having to ask a lot of friends about operating these ask blogs, and it's a bit of a learning process (not as bad as trying to build a website through Comic Genesis, but still a little confusing). As for the question system, it is recommended that you take a screenshot then upload it as the first picture within a picture post. If you're worried the asker won't see it, just tag their username and hope for the best. I really like your first answer, by the way. You obviously put a lot work into writing and composing the comic, and it does a lot to introduce your character's background. 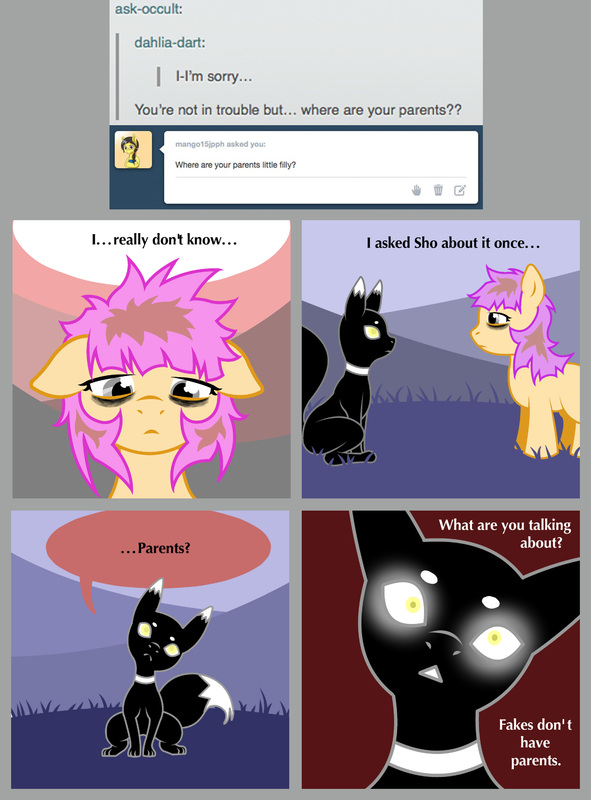 If you want to start drawing more attention to your blog outside of people you know on ponychan, I recommend searching for other pony ask blogs through Tumblr, then following them and asking them questions. You'll make some cool friends that way, and some will turn around and follow you/send asks. 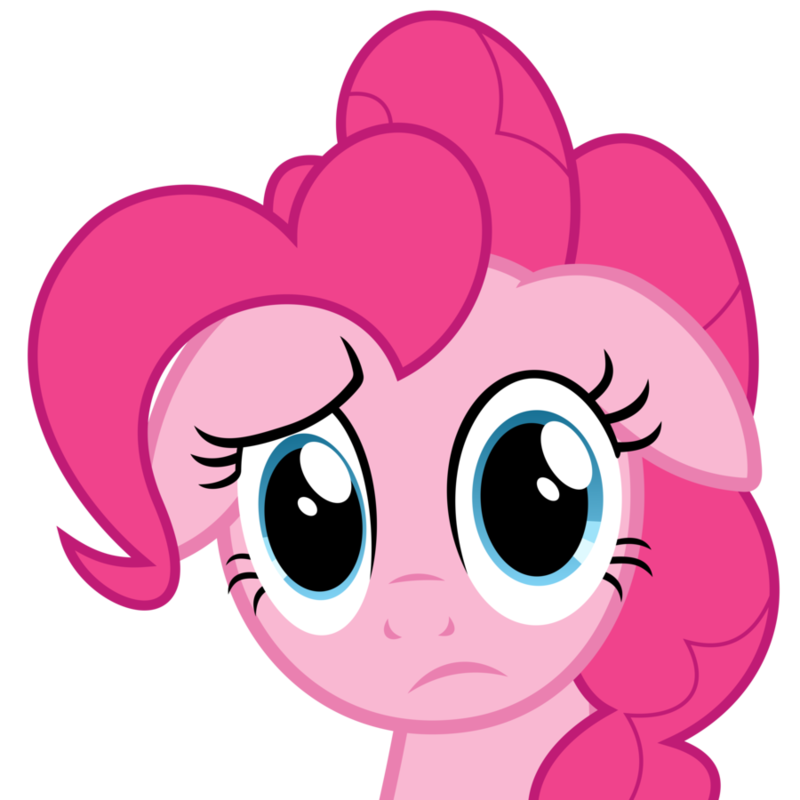 Lastly, I'm actually pretty new to ponychan myself, so I have no clue how to keep up with specific threads. I've just been keeping this thread open in a tab and checking in on it every so often. New character and additional background info. I'm new here, too. I'm thinking of starting a webcomic, and I figured talking to other artists on a dedicated message board like this would be a good way to generate a bit of interest in my art before I do start it. I'll check out more pony stuff on tumblr, too. I just wish they had a better way of doing the ask blogs besides making you screenshot the original question. Anyway, see you around! 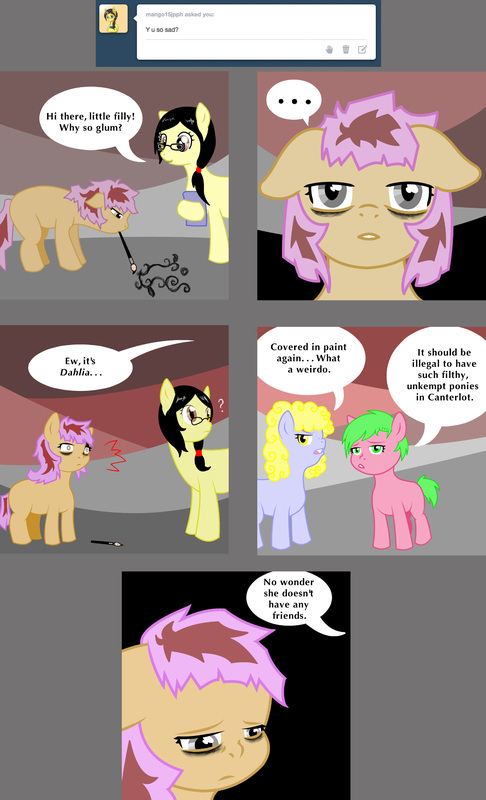 I'll probably stay on ponychan for a while, posting either under snc or SeeNotC. I really like where this is going so far, but I couldn't find an ask button. Also, why on Earth does Sho not only look like a CUTE Umbreon, but also calls Dahlia a "fake"? I'd like to see that explored. I have had trouble finding that button too. Thanks. Now what do they mean by "fake"? This sounds interesting. Welp, I just dropped a flood of exposition before splitting my blog into two. Terrible idea? Probably. Will I stick by it anyway? Buck yeah. The link doesn't work anymore, what happened? Can't you just rebuild it from scratch or something? Really? I never found out why cuz I was too late for the whole thing. What happened? Me too, this is starting to get more depressing than the blog itself was. I wish that they could have done more with this. 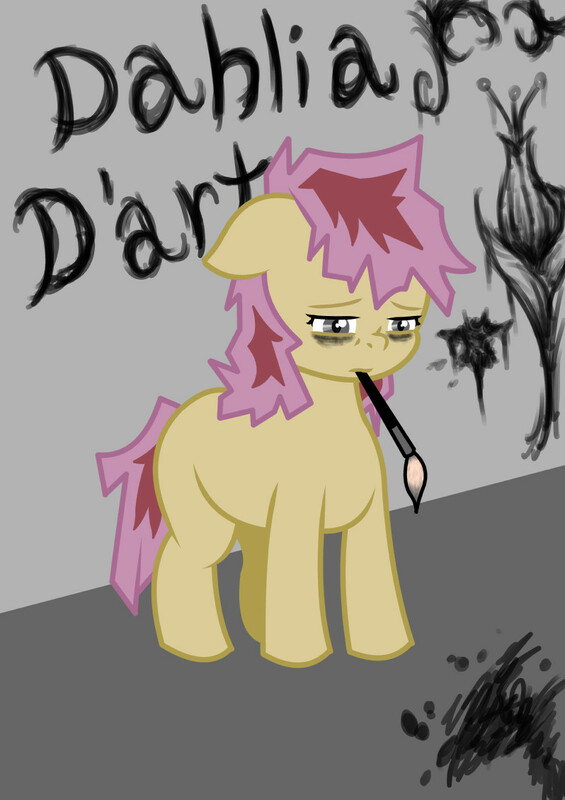 Dahlia D'art was so entertaining, and it ended abruptly. PLEASE COME BACK! I'm sorry to necro what might be dead forever, but it's been about a year since we saw Dhalia... Just wondering if anyone knows what happened. 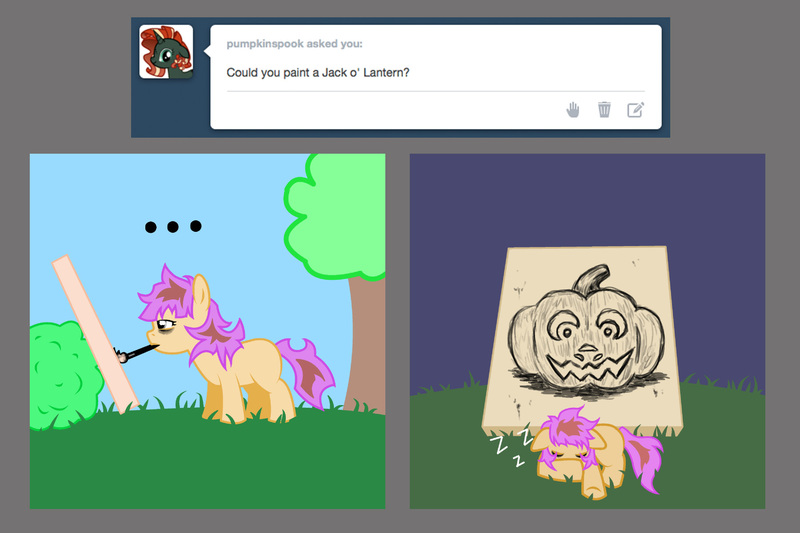 This was the most creative original pony I'd seen in a long time, and I miss her--I hope the artist is okay. I'd eagerly follow any of their newer works if they are still working on art. Dang, maybe she got discouraged and gave up. Now I feel bad for not being around to offer encouragement.